Ashford Formula is a colourless, transparent liquid that penetrates concrete and masonry building materials. It protects, preserves and strengthens the concrete. With over 15 years experience using Ashford Formula to treat concrete floors, CubicM3 is tried and tested. 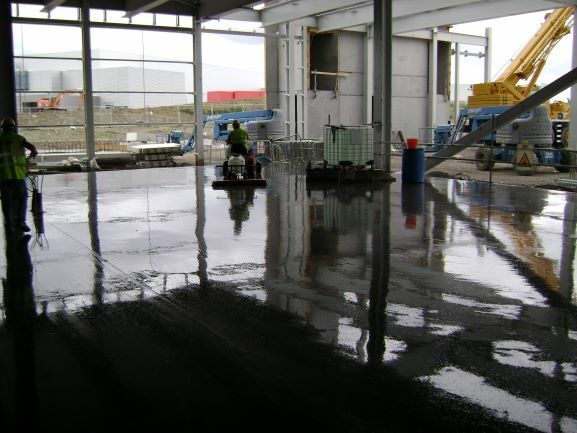 We have successfully implemented Ashford Formula concrete solutions in hundreds of construction projects across Ireland. 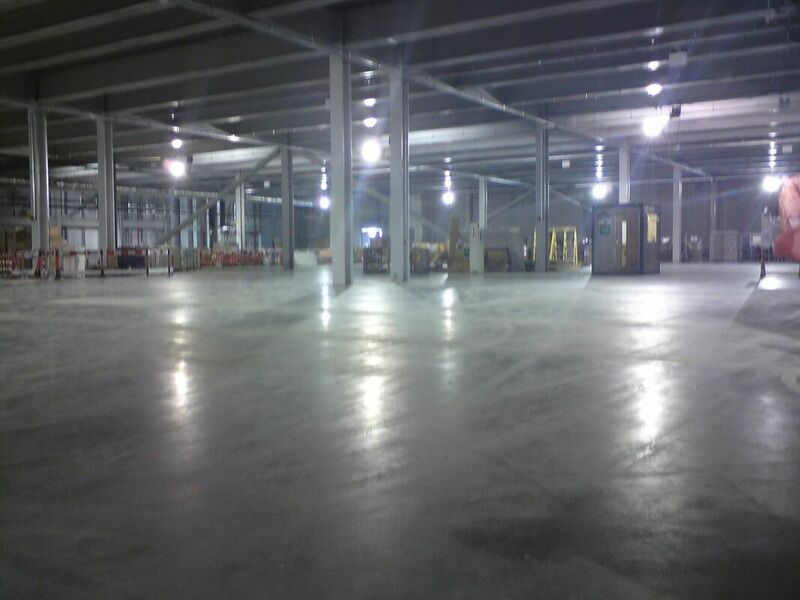 Warehouses, factory floors, software company concrete floors - we have the expertise to make your next project a success. Ashford Formula seals cement based materials into a solid mass. Unlike film-forming surface treatments that peel away, the Ashford Formula eliminates need for expensive reapplications by penetrating the concrete and closing the pores from within. The Ashford Formula inhibits the migration of water, oils and other surface contaminants into the concrete. Ashford Formula makes concrete abrasion resistant. An Ashford Formula treated floor will be 32% harder within the first 30 minutes of treatment. The treated concrete will continue to harden over time. Used as a curing agent, Ashford Formula slows the outward migration of water from concrete. The chemical reaction forms a densified barrier that reduces shrinkage and cracking. Over time, concrete treated with Ashford Formula develops an attractive wax-like sheen. The more traffic and cleaning, the better the floor looks. Because the Ashford Formula permanently seals concrete, foreign matter – including oil, alkali, free lime and traffic scum – cannot penetrate. 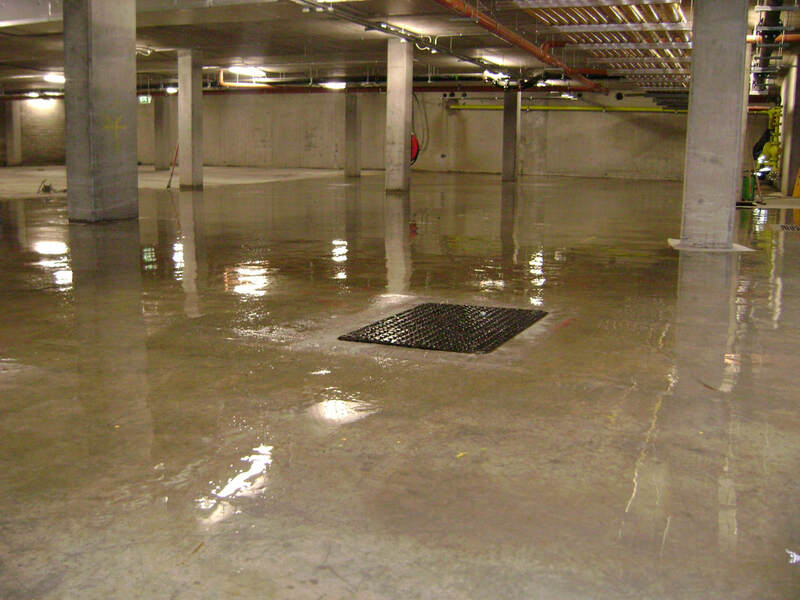 Your concrete can be easily cleaned with a mop and soapy water or automatic scrubbing machines.